As a glance down any street in America quickly reveals, American women have forgotten how to dress. We chase fads, choose inappropriate materials and unattractive cuts, and waste energy tottering in heels when we could be moving gracefully. 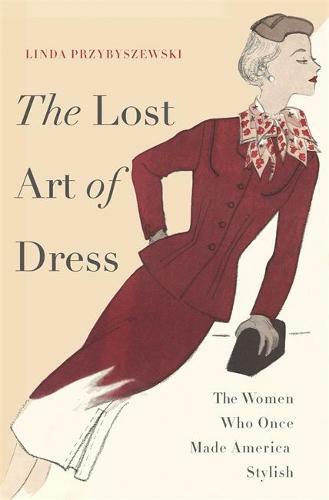 Quite simply, we lack the fashion know-how we need to dress professionally and flatteringly.As historian and expert dressmaker Linda Przybyszewski reveals in The Lost Art of Dress , it wasn't always like this. In the first half of the twentieth century, a remarkable group of women,the so-called Dress Doctors,taught American women how to stretch each yard of fabric and dress well on a budget. Knowledge not money, they insisted, is the key to timeless fashion. Based in Home Economics departments across the country, the Dress Doctors offered advice on radio shows, at women's clubs, and in magazines. Millions of young girls read their books in school and at 4-H clothing clubs. As Przybyszewski shows, the Dress Doctors' concerns weren't purely superficial: they prized practicality, and empowered women to design and make clothing for both the workplace and the home. They championed skirts that would allow women to move about freely and campaigned against impractical and painful shoes. Armed with the Dress Doctors'simple design principles,harmony, proportion, balance, rhythm, emphasis,modern American women from all classes could learn to dress for all occasions in a way that made them confident, engaged members of society.A captivating and beautifully-illustrated look at the world of the Dress Doctors, The Lost Art of Dress introduces a new audience to their timeless rules of fashion and beauty,rules which, with a little help, we can certainly learn again.